The building known as Cole’s Shoal Lighthouse is situated on a small rock outcropping in the St. Lawrence River approximately 2 kilometres (5 miles) southwest of the City of Brockville. 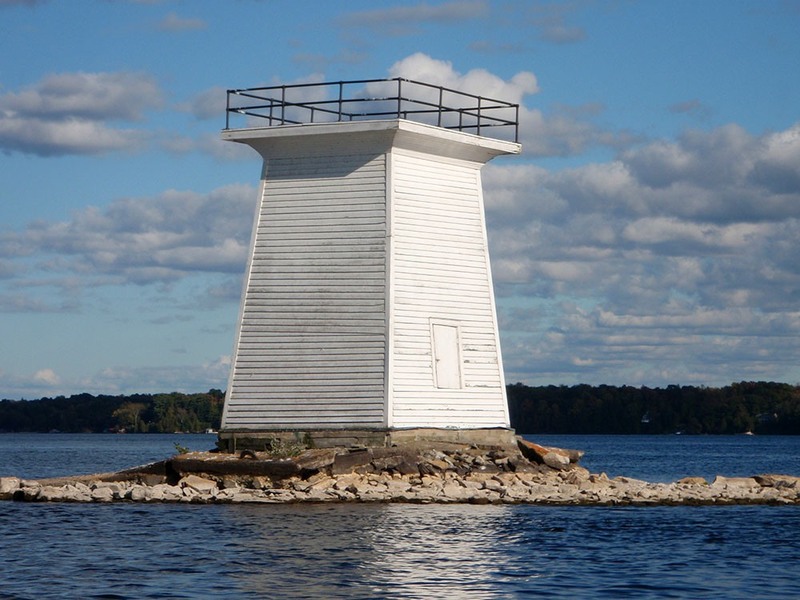 A lighthouse was established on the shoal c. 1856. The present two-storey clapboard building was constructed in 1857. 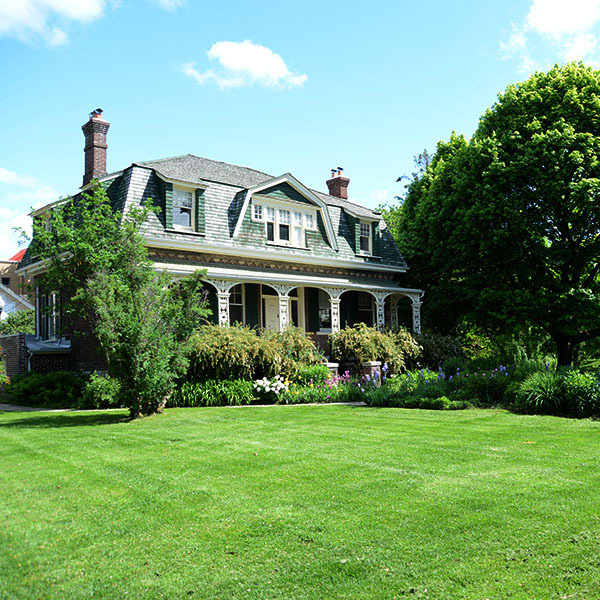 The property was granted to the Ontario Heritage Trust in 1972. 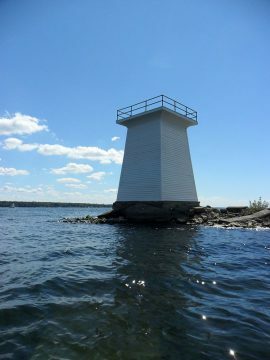 Cole’s Shoal Lighthouse is significant for its association with navigation along the St. Lawrence River, and as one of the last remaining and oldest wooden lighthouses of its era. With the advent of the river steamer in the mid-19th century, there was a greater need for lighthouses along the St. Lawrence. By the 1850s, a series of nine small lighthouses of similar design were established and built at Cole’s Shoal, Grenadier Island, Fiddler’s Elbow, Lindow Island, Jack Straw Shoal, Spectacle Island, Red Horse Rock, Burnt Island and Gananoque Island. This string of lighthouses helped the increasing number of nighttime shipping vessels to navigate a dangerous stretch of the river. Of these lighthouses, only Cole’s Shoal has survived. During its 70 years of active service, the lighthouse was operated by only four different men – Richard Elliott 1857-82, Erastus John Rowsom 1882-84, R.P. Boyd 1884-1917 and David Hodge 1917-27. After it was taken out of service, it languished until it was granted to the Ontario Heritage Trust in 1972. 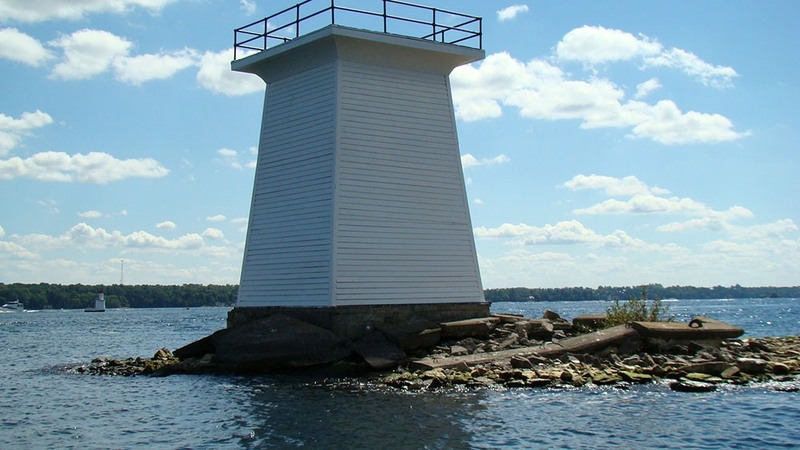 Cole’s Shoal Lighthouse is significant as a surviving example of a mid-19th century square lighthouse. Constructed around a wood-frame structure, the plan of the lighthouse is approximately 3.5 metres by 3.5 metres and six metres tall. It tapers slightly toward the top before flaring out slightly, creating a coved soffit around the perimeter of the structure. At the top, there is a simple metal railing surrounding an observation platform, accessible via a trap door in the roof. 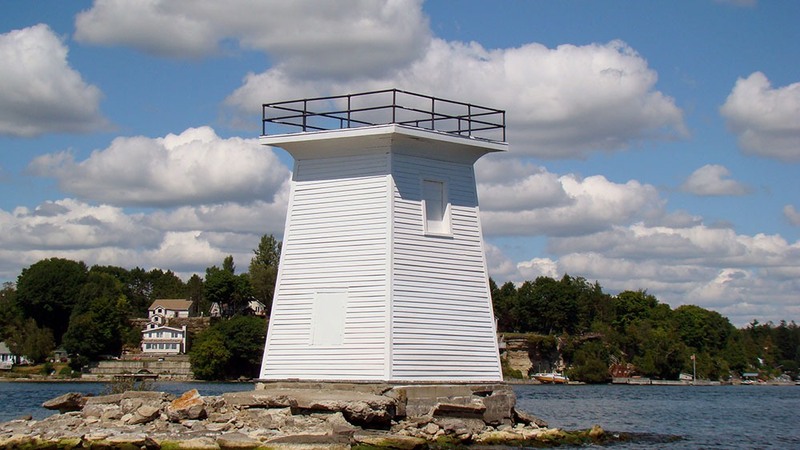 (The lantern was already missing from the structure when it was acquired by the Ontario Heritage Trust in 1972. 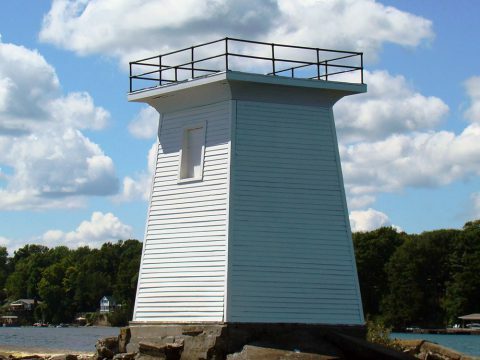 It was likely, however, similar to a contemporary lantern recorded in 1965 at the Red Horse Rock Lighthouse as being one meter across, made of cast iron with four lights and an ogee-shaped cupola.) 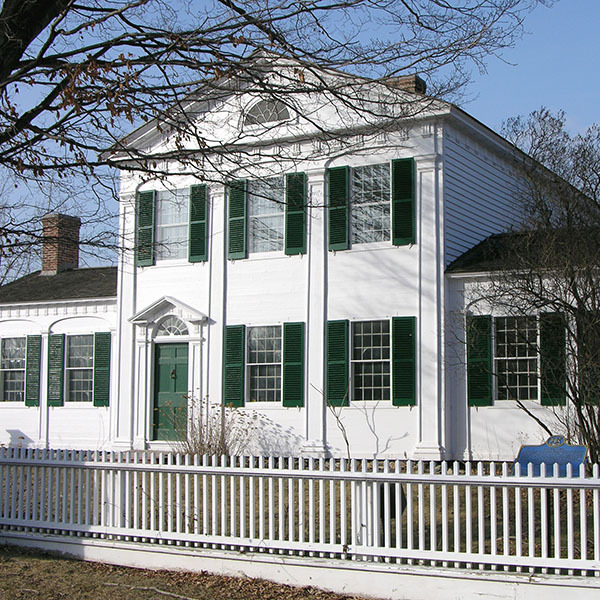 Thin clapboard planks painted white sheath the structure with a small access window on the west side and another similarly sized window a storey above on the south façade. Both openings are closed with wooden doors rather than panes of glass. Access between the ground level, second level and observation platform is obtained via short, steep stairs. The interior was never finished. Due to its exposed location, the wood of the lighthouse deteriorates quickly. It has been necessary to replace much of the structure’s sheathing and frame during the last 150 years. On Monday, July 23, 2018, lightning struck the historical Cole’s Shoal Lighthouse. Over the course of a few hours, the lighthouse was burned to its foundation. It was 161 years old.